Originating from Namur in Belgium, Dominique Bodart received his first musical education at the of the town’s Conservatory in the class of Freddy Dubuisson before gaining various first prizes at the Royal Conservatories of Brussels and Liège as well as a gold medal at the Conservatoire de Region de and Châteauroux (France). From 1989 to 1991 he was able to work under the direction of Charles Dutoit, Vernon Handley and Serge Baudo renown conductors, as first solo trumpet of the World Youth Orchestra. Furthermore, he has taken an interest in the practice of ancient instruments. It is in this field he has been a pupil of Friedman Immer at the Sweelinck Conservatory in Amsterdam. In 1999, Dominique Bodart released his first CD ”Virayana’’in collaboration with the Luxembourg organist Carlo Hommel and including the 20th century pieces for trumpet and organ. In 2002 he released his second CD trumpet and organ “Si suoni la tromba”with the French organist Michael Parisot (Baroque and Classical works). Then follow “Bouquet of melodies” as a soloist with the Brass Band Buizingen and “in the groove” with the Big Band Academy Eghezée (Tribute to Harry James). Dominique Bodart was Alternating-Principal Trumpet in Tampere Philharmonic Orchestra in Finland from 2008 to 2011. 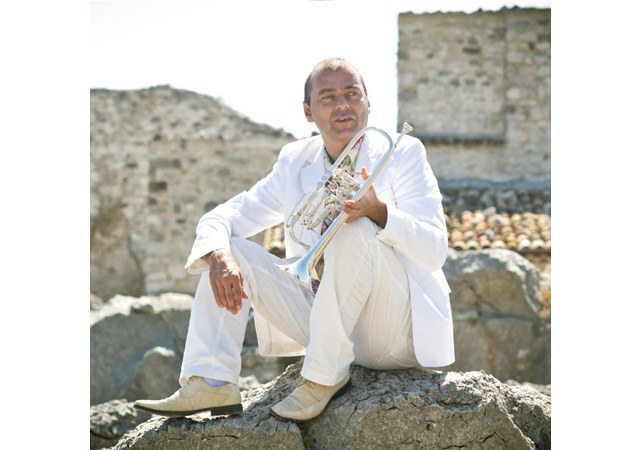 Dominique Bodart is Artistic Director of the International Trumpet Competition Trumpet”Theo Charlier” and recently became Artistic Director of the International Music Festival in Abruzzo (Italy). Since January 2013, Dominique Bodart is a Buffet Group’s Artist and plays exclusively on instruments by B&S, Courtois, Besson and Scherzer.